Once Republican Georgia Congressman Tom Price is confirmed as Donald Trump’s Secretary of Health and Human Services, the floodgates will officially open as 6th Congressional District Republicans (and a few optimistic Democrats) position themselves to fill his seat in D.C. Among the dozen or so potential candidates already weighing bids are several state legislators including Price’s wife, State Representative (HD-48) and former Roswell City Councilwoman Betty Price. [Republican State Senator Judson Hill and a pair of former Democratic state lawmakers (Sally Harrell and Ron Slotin) have already declared their candidacies]. It is quite clear that if Price does campaign for her husband’s seat, located north of Atlanta, she will certainly not be given a free pass by her fellow Republicans in the special election. [Georgia law for special elections dictates all candidates from both parties appear on the same ballot; if no candidate wins a majority then the top two head to a runoff]. But if Price does run, she has a chance to accomplish an electoral feat never previously seen in the history of the chamber. A Smart Politics study finds that no woman has ever won a special election to succeed her husband in the U.S. House for reasons other than his death; Betty Price could become the first to do so in Georgia’s 6th CD next year. Until the 114th Congress, the only women to directly follow their husbands into office and take over their congressional seats were widows – either by winning election to the U.S. House or receiving an appointment to the U.S. Senate after vacancies were created by the death of their spouses. Debbie Dingell made history in 2014 by becoming the first non-widowed female candidate to directly succeed her husband (Michigan Democrat John Dingell) in either D.C. legislative chamber. Dingell was elected to the state’s 12th CD seat in November 2014’s general election when her husband decided to retire after 30 terms in the U.S. House. Prior to Dingell, there had been three-dozen widows who won special elections to their deceased husband’s U.S. House seats over the last century. The first to do so was California Republican Mae Nolan in 1923. Mae Nolan won two special elections with a plurality of the vote two months later in 1923 to claim both the remainder of her husband’s term in the 67th Congress and the full term for the 68th. Over the next 10 years, other widows followed suit by winning House seats previously held by their late husband: Republican Florence Kahn of California (in 1925), Republican Edith Rogers of Massachusetts (1925), Arkansas Democrats Pearl Oldfield (1929) and Effiegene Wingo (1930), Democrat Willa Eslick of Tennessee (1932), and New York Republican Marian Clarke (1933). Florence Kahn (R-CA) served six terms from 1925 to 1937. Her husband Julius served 12 terms. Edith Rogers (R-MA) served 18 terms (1925-1960) until she too died in office. Her husband John served only seven terms. Margaret Chase Smith (R-ME) served five terms in the U.S. House (1940-1949) and then four more in the U.S. Senate (1949-1973). Her husband Clyde served just two terms. Frances Bolton (R-OH) served 15 terms (1940-1969). Her husband Chester served just five. In recent decades, women who have won seats vacated by the death of their spouses have tended to stay in Congress for several terms, such as Lindy Boggs (D-LA, 1973-1991), Cardiss Collins (D-IL, 1973-1997), Beverly Byron (D-MD, 1979-1993), Jo Ann Emerson (R-MO, 1997-2013), Mary Bono Mack (R-CA, 1998-2013), Lois Capps (D-CA, 1998-present), and Doris Matsui (D-CA, 2005-present). The date for a special election in Georgia’s 6th CD will not be set by Governor Nathan Deal until after the vacancy becomes official, pending Price’s confirmation vote to become the next HHS secretary. 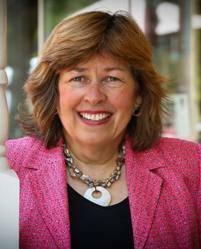 1 Comment on "Betty Price Could Make History with Georgia 6th CD Special Election Bid"
This is not a conservative – liberal issue. It is very clear that Donald Trump is psychopathically dangerous president and that the only quick way to remove him is remind the Republican representatives that they are supposed to put the country ahead of their party. The quickest way to this is defeat the Republican running to fill Tom Price’s seat.